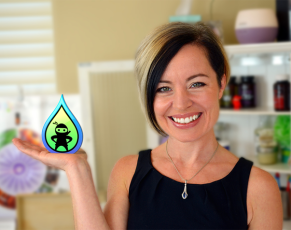 We’ve taken our wildly popular online (Facebook) essential oils program and created an email-based version of it for you to spend a week learning about and using essential oils – for FREE. spOIL & surPRIZE is essential oil education with videos, recipes, engaging discussion, PRIZES and more! We want people to understand how useful essential oils are on a daily basis so we put together this week-long series that begins when you receive your package of samples in the mail and initiate the email series. Each day you will receive an email from Essential Ninja discussing the sample of the day, demonstrating how to use it and why you would want to with videos, recipes and a little bit of science mixed in.